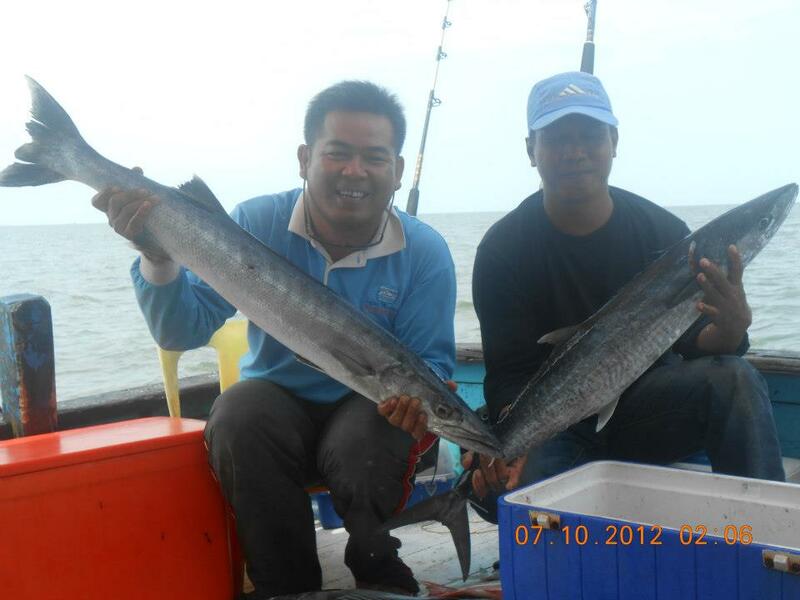 ikan gabus: ..FINALLY..I GOT THEM. 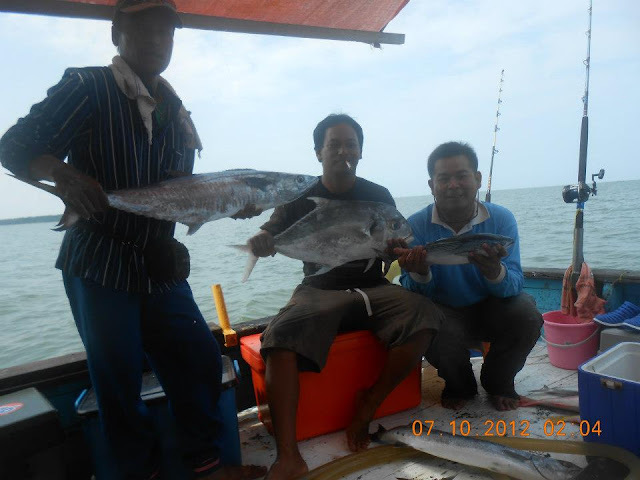 With Wan Pancing Transport service,fishing in Kretam Sulu Sea,the team of Joran Juara Angler with Beluran Group combined in a trip on 06-07th Oct.2012.There are 10 anglers all with costing by RM145/person.Starting by 08.30am at jetty Kg.Batu Putih Sandakan with 4 hours time to reach the point.I really targed the Spanish Mackerrel in this trip as I`ve been waiting so long.When the darknoon comes,good weather in the sky,fishing activities is begining frequent until midnight.Red snappers are dominated our catch during this first hours..and.. until my opusbull that holded on holder shouts and pulls out my braided,fighting in a few minutes and finally the spanish mackerrel surrender,its about 6kg.Holding the rod on holder again after hooked a bait,it shouts again after several minutes away.A spanish mackerrel hooked up with almost the same size with another one.And again..for the third time..my Daiwa opusbull 4500 cries again..and this is the best fighting I`ve ever feel before.I need more minutes in fight and my set works hardly to make this fish surrender.Its really a strong fighting fish,a 7,5 of spanish mackerrel. Waiting at about an hour after that,my reel shouts once more time.This time is a 3.6kg of jack snapper. 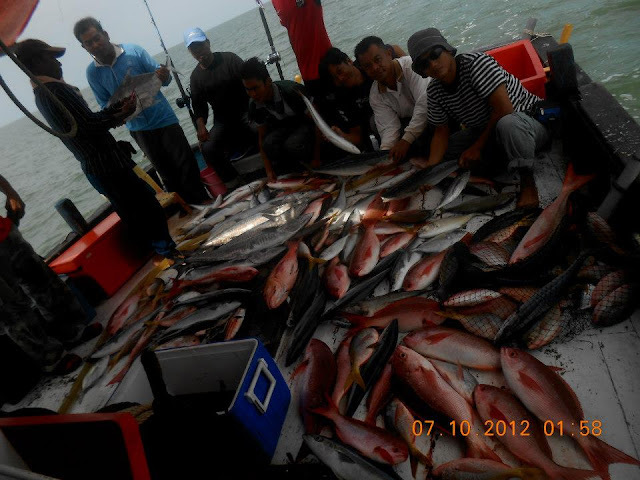 Red snapper still hooked up time by time until morning by the others anglers and they are dominated our catch in this trip.Sighting the beatifull sunrise in the morning as our trip will be end up..
..YESSSS..! FINALLY I GOT THEM...! SYUKUR ALHAMDULILLAH..thankyou team..thankyou Wan Pancing Transport. Finally we went to Kretam on 15/06/ till 16/06/2013 ..
A two days one night trip ..
What we have got is just a bunch of small fries ..
Not even exceed 1kg per person ! So , I was thinking about this till now ..
Maybe our tekong is not as knowledgeable as we thought ..
And we pay RM1.2K for that trip .. 8 person ..
Around RM150 per person .. 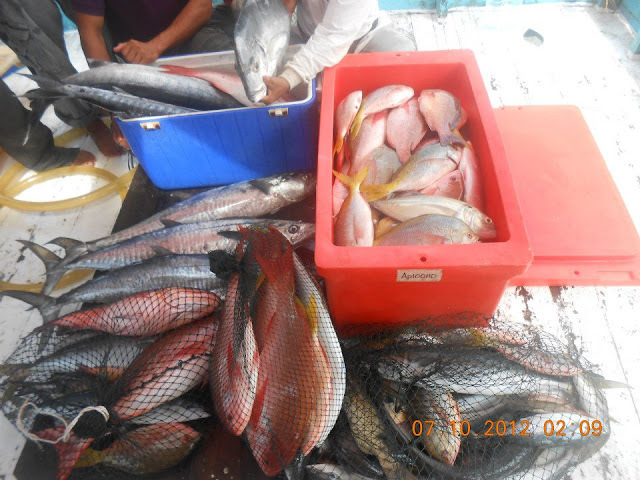 Sadly, I only got one grouper weight of 200g ! This is the most devastating trip in my entire life so far ..
An extremely super sad trip ..
Not only me myself .. 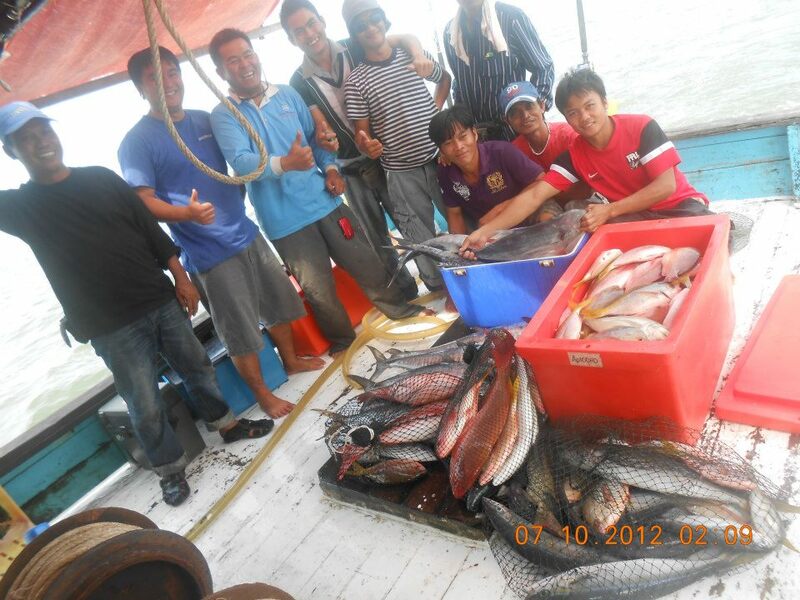 But to all of my friends includes in this trip ..
Its a wastage trip ..
sad to hear it dear Gold Buyer,mostly kretam trip will prefer us a good catch at the end of fishing season,around september and october,so we didn`t espect a good catch at others month trip.I also had a kretam trip on june 22nd,2013...not much bad..I got a juvenile barracuda and two groupers and some others mini fish.Wave quite bumpy that day,and trip did not report here as pictures was at my facebook acc as `sambal belacan`.I think you sould ask some tips and suggestion before making a kretam trip from other anglers who commontly being there for your best trip.anyway..thanks for visiting my blog.